The Design Indaba team has recently announced their top ten nominees for the 2016 Most Beautiful Object in South Africa (MBOISA) Award & informed us that one of MAXHOSA pieces made the short list. Thanks to Tracey Lee Lynch, who purchased this nominated piece from MERCHANTS on LONG in Cape Town and felt that it deserves to be recognised amongst other nine great South African designs, by submitting a nomination for it. If you feel that this piece deserves to claim the reward please vote for our nomination on the Design Indaba here (voters are given 10 free votes a day, please make sure that you abuse this line everyday until the 19th of February). 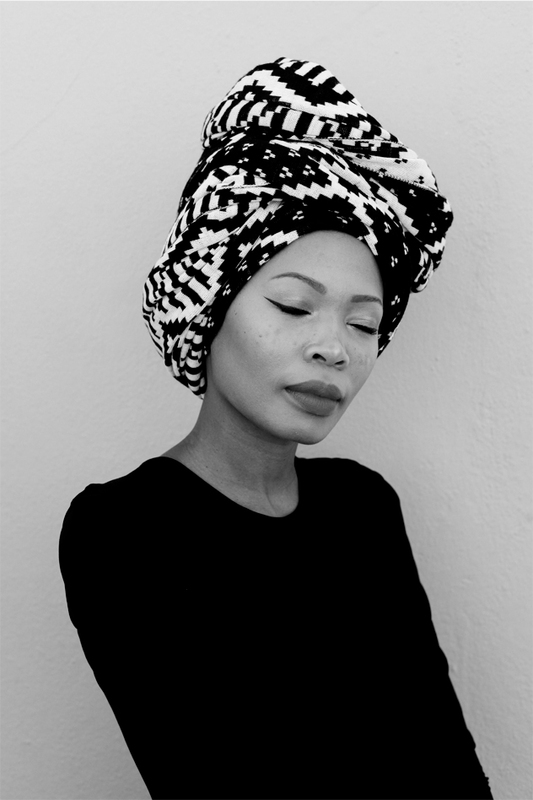 To vote by sms [ SMS MBOISA+LADUMA SHAWL to 40619, each SMS costs R1.50 ] votes are unlimited for SMS’s. Okay, enough about the nomination and more about the shawl. 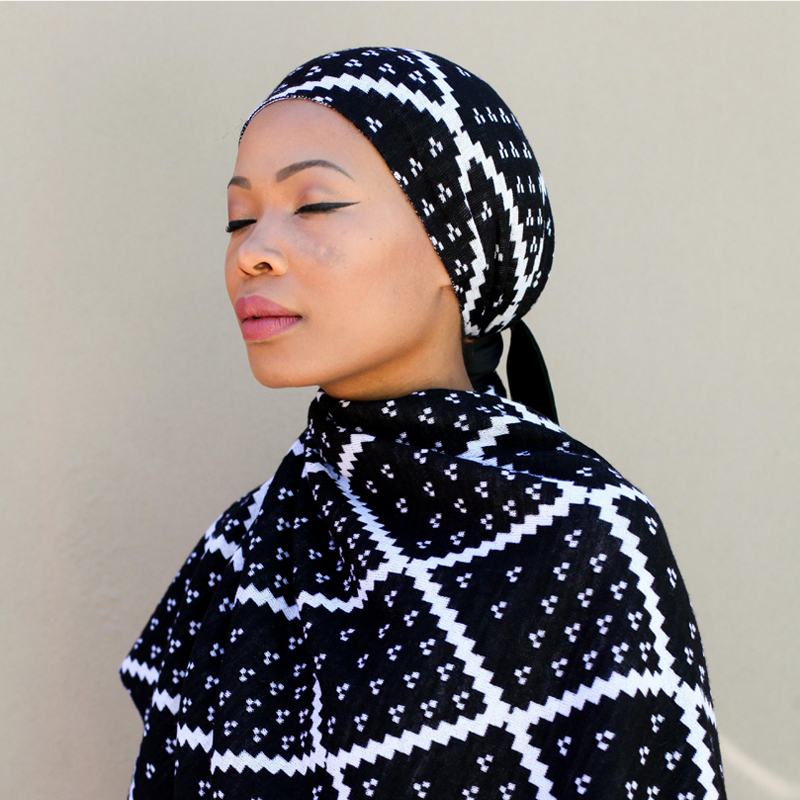 This shawl is actually a versatile piece and can be styled in countless ways (depending on one’s styling skills of course) & can be used as a homeware accessory. 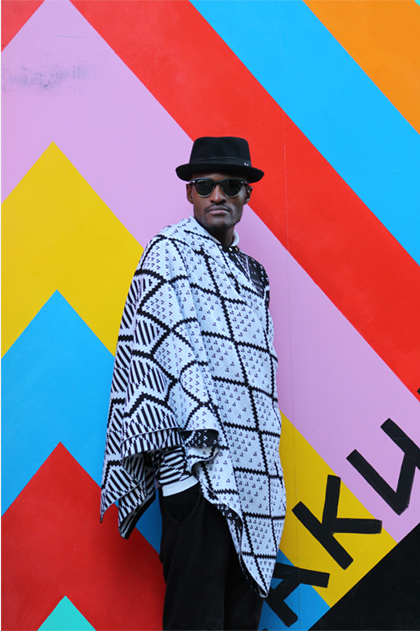 The pattern in the middle section of the shawl was inspired by the textures of ripe umnqusho (traditional Xhosa dish). The two bottom end sections have a mix of aesthetics are pulled off from traditional Xhosa embellishment styles and beadwork motifs. 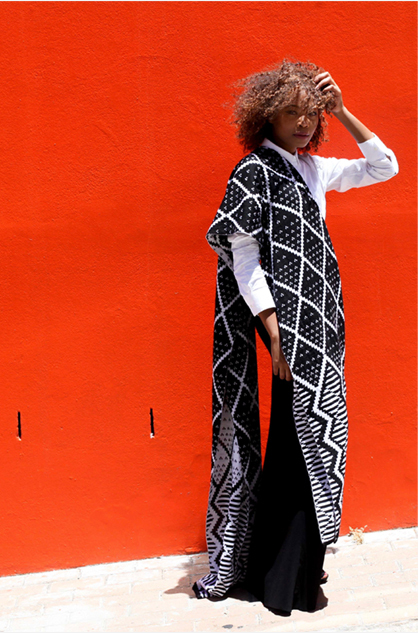 Traditional Xhosa dress codes are mainly constructed with rectangular fabrics that they style as turbans, waist wraps, blankets and more; this piece takes that approach. The shawl is one of the simplest product to make up from the collections, but the biggest in volume size, the shawl is a standard rectangular shape. 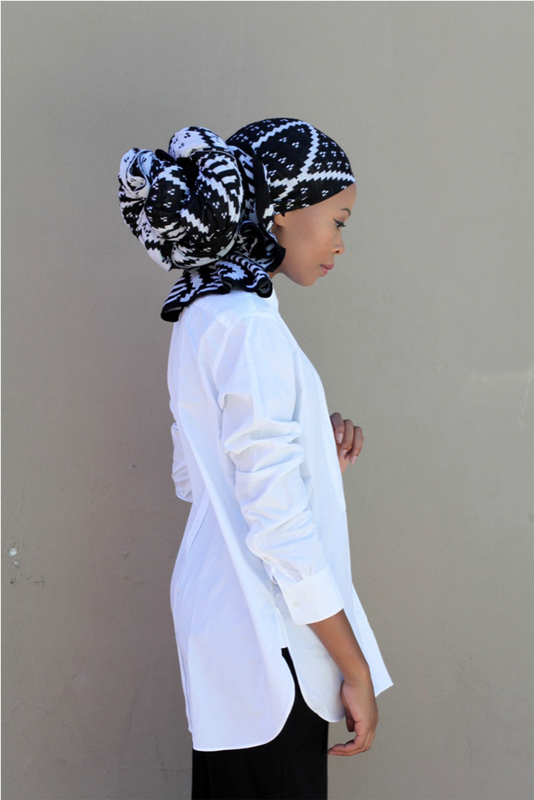 Sit back and let us seduce you with sixteen fun ways of how the shawl can be styled. We would like to extent our sincere graditude to everyone who purchased this shawl from our online store and stockists, thank you in advance to everyone that will support this campaign.